New Jersey's marijuana legalization bill is finally moving, activists in New York City target the governor over safe injection sites, South Korea becomes the first East Asian nation to approve medical marijuana, and more. New Jersey Legalization Bill Advances. The long-awaited marijuana legalization bill, S2703, is moving in the legislature. It was voted out of a joint committee on Monday, with a 7-4 vote in the Senate Budget and Appropriations Committee and a 7-3 vote in the Assembly Budget Committee. Now the bill goes to the Senate and Assembly floors for any amendments and final votes. The measure would legalize the possession of small amounts of marijuana for adults and set up a statewide system of taxed and regulated production and sales. New Jersey Senate Health Committee Votes in Support of Medical Marijuana Expansion. The Senate Health, Human Services, and Senior Citizens Committee voted Monday to expand the state's medical marijuana program. But advocates had concerns: "Today's vote in support of expanding New Jersey's medical marijuana program is a step in the right direction," said Roseanne Scotti, New Jersey State Director of the Drug Policy Alliance. "However, we have concerns about the impact of this legislation on patients, as it will transfer oversight of medical marijuana from the New Jersey Department of Health, which has a long established, patient-centered program, to a new and relatively undefined commission." 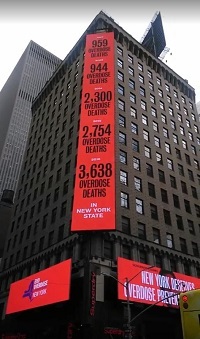 Times Square Billboards Urge New York Governor to "Give the Gift of Life" by Authorizing Overdose Prevention Centers. Advocates and family members who have lost loved ones to overdose blasted Gov. Andrew Cuomo (D) in a series of electronic billboards that began airing throughout Times Square on Giving Tuesday, pressing the Governor to "Give the Gift of Life" this holiday season by authorizing Overdose Prevention Centers. The centers, also known as safer consumption spaces (SCS), are a proven tool for preventing unnecessary and tragic overdose deaths. As overdose deaths continue to increase across New York -- a New Yorker dies every 6 hours of a preventable overdose -- advocates in the EndOverdoseNY coalition are calling on Governor Cuomo to show his leadership and take immediate action to establish Overdose Prevention Centers. South Korea Becomes First East Asian Nation to Approve Medical Marijuana. The South Korean National Assembly has voted to approve an amendment to the country's drug laws that will pave the way for the use of medical marijuana by prescription. Potential patients would be required to apply to the Korea Orphan Drug Center and approval would be granted on a case-by-case basis. A local activist reveals that "dozens" of unpermitted safe injection sites are operating in the Seattle area, New Jersey legislative leaders say marijuana legalization will see votes this month, and more. GAO Scolds DEA over Marijuana Eradication Program. In a report released Wednesday, the Government Accountability Office (GAO) criticized the Drug Enforcement Administration (DEA) over failings in its marijuana eradication program. GAO charged that DEA failed to collect sufficient documentation from state and local law enforcement agencies that partnered with DEA in the program, a fault that could prevent DEA from accurately assessing program performance. Furthermore, DEA "has not clearly documented all of its program goals or developed performance measures to assess progress toward those goals," the report found. New Jersey Legislative Leaders Say Vote on Marijuana Legalization Coming This Month. Assembly Speaker Craig Coughlin and Senate President Steve Sweeney said Wednesday the legislature would move on marijuana legalization this month. Coughlin said he had the votes in committee to pass legislation, while Sweeney said he needed help from Gov. Phil Murphy (D) to pick up necessary votes in the Senate. "The only way something like this gets passed legislatively is if all three of us work together," Sweeney said. "If (the governor's office is) not going to lobby any votes for us then it won't get done." Wisconsin Legislator Will Be Back With a Legalization Bill Next Year. State Rep. Melissa Sargent (D-Madison) said Wednesday that she will once again file a marijuana legalization bill when the legislature convenes in January. Sargent has filed legalization bills every year since 2014 but has renewed momentum after voters in 16 counties and two towns voted for legalization in non-binding referenda in the midterms. "The facts clearly show that legalization is right for Wisconsin and that the most dangerous thing about marijuana is that it's illegal," she said. "Dozens" of Underground Safe Injection Sites Are Operating in the Seattle Area. Harm reduction activist Shilo Jama has told a local media outlet that "dozens" of unpermitted safe injection sites are operating in Seattle and surrounding King County. "They're slowly developing their own culture and their own service. It's a lot like the speakeasies of old where you've got to know someone to be invited in. You need the password or some kind of information that you're not, kind of, out to get them," Jama said. 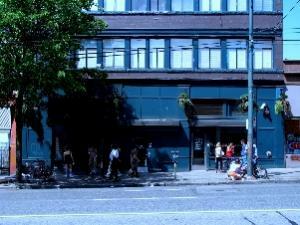 Seattle and King County authorities are moving toward officially allowing such facilities, but local harm reduction activists aren't waiting. The far rightist Jair Bolsonaro won Sunday's presidential election with 55 percent of the vote. 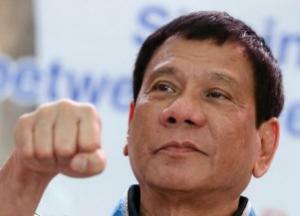 His victory promises to push Latin America's largest democracy to the right in many arenas, including drug policy, where his past pronouncements place him firmly in the camp of murderous anti-drug reform authoritarians such as Philippines President Rodrigo Duterte, who has presided over a war on drug sellers and users that has left more than 20,000 dead at the hands of police and shadowy vigilante death squads. Despite a highly divisive candidacy that included repeated derogatory comments aimed at gays, women, black people, and indigenous peoples, his victory over the Workers Party, which has been tarnished by corruption scandals, was decisive. Bolsonaro seems likely to act as if he has a mandate from the voters to enact his extremist policies, among them extraordinarily repressive drug policies. Thanks to London-based Talking Drugs, we have a very clear idea of just how extreme Bolsonaro's rhetoric on drug policy has been. Saying the bloody-handed Duterte "did the right thing for his country," Bolsonaro seeks to emulate him, saying repeatedly that police should kill people suspected -- not convicted -- of drug trafficking. He has also vowed to intensify an already militarized crackdown on drug offenses, deepening the human rights and public health crises that drug prohibition has already inflicted on the country. Police and the military already work together to raid, arrest, and, too often, kill people allegedly involved in drug trafficking, especially in the favelas, the urban slums home to millions of the country's poor. Brazil's murder rate is 27 per 100,000 people, four times the global average and higher than the rates of neighbors such as Bolivia, Colombia, and Peru -- all cocaine-producing countries. Brazil is the world's second largest cocaine-consuming country, after the United States. 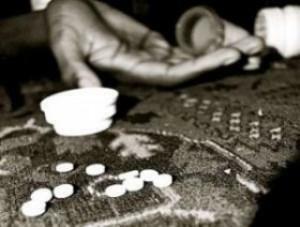 Domestic drug consumption has been on the rise for years in Brazil, and although there have been legislative attempts to decriminalize drug use, drug users continue to be criminalized, contributing mightily to Brazil's ranking as the country with the world's fourth-largest prison population. Bolsonaro wants to heighten the repressive approach. He has detailed plans to increase the involvement of the military in drug law enforcement, including targeting school children. "It would be good to have the military in the schools," he said, because "in the streets, in the schools even, the bandidos [bandits] sell drugs and smoke marijuana openly." Speaking of maconha [Brazilian slang for marijuana], Bolsonaro isn't too fond of that, either. In fact, he sounds positively deranged on the issue. Legalizing marijuana, as neighboring Uruguay has done, would "benefit traffickers, rapists, and hostage takers," he charged, without bothering to cite any supporting evidence of his claims and in direct contradiction of the Uruguayan experience. And in a bizarre interview with El Pais, the homophobic Bolsonaro even claimed that using drug makes people gay. When the journalist who interviewed him published the piece, Bolsonaro accused him of being gay, too. He demonstrates a very Trumpian tendency to play fast and loose with the facts to try to score ideological points. He has linked illegal drug use to liberal governments, claiming that "drug use is prominent in countries under liberal administrations, such as Honduras, Nicaragua, El Salvador, Mexico, and Venezuela." But Honduras has been ruled by rightists since 2010 and Mexico's outgoing president is a member of the Institutional Revolutionary Party (PRI), since the 1980s viewed as center-right. All of this doesn't bode well for progress on progressive drug policies in Brazil. In the past, there have been strong public health-based initiatives to provide harm reduction services to drug users, including a very successful program created by then Sao Paolo Mayor Fernando Haddad. His With Open Arms program provided drug users with housing, daily meals, access to health care, and the opportunity to earn money by doing cleaning work. The program was a success in reducing drug-related harms but has been dramatically slashed by his successor. Haddad was the last candidate standing between Bolsonaro and the presidency, but the country's swing to the right overwhelmed him. 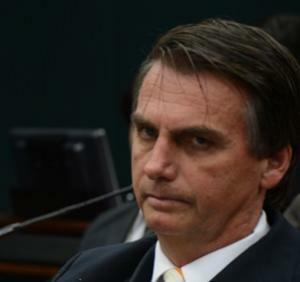 While the immediate future for progressive drug reform in Brazil looks grim, the one bright spot is that, like Trump, Bolsonaro tends to make bold, yet vague, pronouncements, often with little follow-through. Let's hope his tough talk on drugs is more bluster than actual concrete policy shifts to the right, but hope isn't going to win the day. Brazilians interested in human rights, public safety, harm reduction, and drug law reform are going to have to mobilize to protect what limited gains they have one and to prevent sliding backward by embracing harsh, failed, last century drug policies. Mexico's Supreme Court strikes a fatal blow against marijuana prohibition, medical marijuana is now available by prescription in the United Kingdom, a Colorado jury rejects an effort to blow up the state's legal marijuana system, and more. Colorado Federal Jury Throws Out RICO Case Threatening State Marijuana Law. That didn't take long. A Denver federal court jury took only a few hours Wednesday to reach a verdict against a couple who claimed a marijuana cultivation operation was ruining their property values and threatening their lifestyle. The couple, aided by anti-marijuana attorneys, had attempted to use federal RICO statutes to undermine the state law, arguing that because marijuana is still federally illegal, its production violates federal racketeering laws. But the jury didn't buy it. Wisconsin Governor's Plan to Require Drug Testing for Medicaid Rejected. The federal Center for Medicare and Medicaid Services has rejected a proposal from Gov. Rick Scott (R) to require drug testing as a condition for receiving Medicaid benefits. Walker had proposed several changes to the state program, known as BadgerCare, and the administration approved requiring childless adults to work or lose coverage, but not the proposed drug testing. Instead of requiring drug screening and testing, Medicaid applicants will now have to complete a health assessment with questions about drug use. If the assessment indicates concerns about drug use, the applicant will be referred to treatment, but not required to go. New York City Legislation Would Expand Opioid Treatment at Homeless Shelters. City Councilman Stephen Levin (D-Brooklyn) Wednesday filed legislation to increase access to opioid treatment at city homeless shelters. The bill would allow for easier access "We can't continue to sit by and do nothing," said Levin. "As we've seen in New York City and throughout the country, the status quo is not working. People are overdosing on opioids every day in New York City -- more than homicides and traffic fatalities combined." 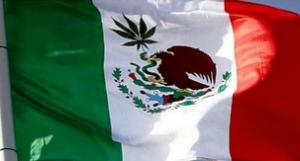 Mexico Supreme Court Strikes Down Marijuana Prohibition. In a pair of rulings Wednesday, the Supreme Court of Mexico ruled that the country's ban on marijuana violates individual autonomy protections in the Mexican constitution. The court said adults have the right to grow, possess, and use marijuana, but that the government retains the right to regulate consumption. It also directed the federal health agency to begin to develop regulations reflecting the decision. The ruling does not legalize marijuana commerce; it would be up to the Mexican congress to take up that issue. Medical Marijuana Now Legal in Great Britain. As of Thursday, November 1, some medical marijuana patients will be able to legally seek and obtain their medicine. Legal access to medical marijuana will be limited to patients who have "an unmet special clinical need that cannot be met by licensed products." It will be up to a special panel to determine who meets that condition, but there are worries that the system may prove too unwieldy to satisfy the needs of hundreds of thousands of potential patients. The CDC's latest drug overdose numbers are out, Arizona's attorney general retreats on hashish, the Justice Department clears the way for harm reduction measures at music venues, and more. New Jersey Marijuana Legalization Delayed Again, New Target is By Year's End. Top lawmakers now say they are no longer aiming at approving marijuana legalization by October 29, but are now looking at doing so before year's end. State Senate President Stephen Sweeney (D-Woodstown) and state Assembly Speaker Craig Coughlin (D-Middlesex) say they still need to iron out differences with Gov. Phil Murphy (D). It's not clear what those differences are. Arizona Attorney General Withdraws Arguments Saying Hash Isn't Medical Marijuana. Citing fears of unintended consequences for patients, Attorney General Mark Brnovich (R) on Monday withdrew his agency's arguments that the state's medical marijuana law doesn't include hashish. The state was responding to an appeal by a medical marijuana patient who was convicted of a felony for possessing 0.05 ounces of hash. "The last thing the attorney general wants is to deny medicine to legitimate patients that may be ingesting their marijuana an in extract or a tincture-type of a form," said his spokesman Ryan Anderson. Cocaine Overdose Deaths at Record High, CDC Reports. The Centers for Disease Control and Prevention report that 14,205 Americans died of overdoses involving cocaine in the past 12 months, an all-time high. The country is awash in Colombian cocaine after two years of large coca crops there, but the CDC also warned that more and more cocaine is being laced with fentanyl, which is likely driving up overdoses. Opioid Overdose Deaths Finally Declining, CDC Reports. The Centers for Disease Control and Prevention report that from April 2017 to March 2018, the number of fatal opioid overdoses declined by 2.3 percent compared to the 12 months ending in September 2017. "There are two major takeaways," said Leo Beletsky, a drug policy expert at Boston-based Northeastern University. "One is that we are not out of the woods yet, since these rates are still sky high. [And] we need to be doing much more of what works to get the rates down further." President Trump Signs Opioid Package Today; Drug Policy Alliance Responds. President Trump Wednesday signed into law the omnibus opioid package aimed at curbing the overdose crisis. The package is the product of bipartisan efforts to pass opioid legislation in both the House and Senate in recent months. "This legislation takes some critical steps toward making lifesaving medication-assisted treatment more accessible, but should be seen as only one small step toward addressing overdose deaths rather than a comprehensive plan," said Grant Smith, deputy director of national affairs for the Drug Policy Alliance. "Missing from the package is a sustained commitment from Congress and the Administration to deliver funding for evidence-based treatments, like methadone and buprenorphine, at the levels needed to meet the demand. For decades our nation's treatment infrastructure has been short-changed, while billions of dollars have been poured into arresting and incarcerating people who use drugs. Trump's opioid package doesn't even begin to close this gap. The opioid package could do much more to expand life-saving tools, like naloxone distribution and supervised consumption services. While Congress should be applauded for not including new mandatory-minimum sentences in this package, it doesn't reflect the kind of bold and innovative action needed to address the crisis." Justice Department Clarifies That Harm Reduction Measures at Music Events Don't Violate Federal Drug Laws. The Justice Department has conceded that the Illicit Drug Anti-Proliferation (IDAP) Act of 2003, which aims to punish people who operate facilities that knowingly allow or facilitate drug use, does not prevent venue owners from providing harm reduction services at their events. The clarification came after Virginia US Sens. Tim Kaine (D) and Mark Warner (D), acting on the request of harm reduction activist Deirdre Goldsmith, whose daughter died of heat stroke after taking MDMA, asked the DOJ to clarify. Gallup Poll: Two in Three Americans Now Support Legalizing Marijuana. Sixty-six percent of Americans now support legalizing marijuana, another new high in Gallup's trend over nearly half a century. The latest figure marks the third consecutive year that support on the measure has increased and established a new record. The poll is in line with other recent polls that have shown support for marijuana legalization above 60%. Gallup found last year that a slim majority of Republicans supported legal marijuana for the first time, and this year's figure, 53%, suggests continued Republican support. Views that pot should be legalized have also reached new peaks this year among Democrats (75%) and independents (71%). Democrats reached majority-level support for legalization in 2009, and independents did so in 2010. 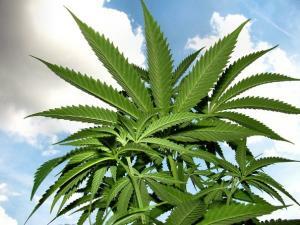 North Dakota Poll Has Legalization Initiative Leading. A poll commissioned by LegalizeND, the group behind the Measure 3 legalization initiative, has support for the measure at 51%, with 36% opposed. The poll has a 4.9% margin of error, so support could actually be under 50%. What is encouraging is that undecideds would have to break pretty decisively against the measure for it to be defeated. Canada's Ontario to Move Forward on Safe Injection Sites. The provincial government has decided to keep its overdose prevention sites open and repurpose them as "consumption and treatment centers," Health Minister Christine Elliott announced Monday. Premier Doug Ford had been opposed but said he would listen to advice from experts. Apparently, he has. Overdose-prevention sites are temporary facilities approved by the province to address an immediate need in a community, while supervised-drug-use sites are more permanent locations approved by the federal government after a more extensive application process. Vanuatu to Legalize Medical Marijuana. The Republic of Vanuatu, a 277,000-person South Pacific nation, has taken the first step toward legalized medical marijuana. "I confirm that the council of ministers on Sept. 20 passed a policy paper to change the laws of Vanuatu to permit the cultivation and use of cannabis for medicinal and research purposes in Vanuatu by licensed parties," Vus Warorcet Nohe Ronald Warsal, the country's acting deputy prime minister and minister for trade, tourism, commerce, and Ni-Vanuatu business, said in a letter. The government will present legislation to the parliament later this year, with licenses expected to be issued by December. Bangladesh Moves Forward With Death Penalty Drug Bill. The government has sent to parliament a bill that contains provisions mandating the death penalty or a life sentence for possessing, producing, or distributing more than five grams of methamphetamine or more than 25 grams of heroin and cocaine. Under current law, there is no provision for the death penalty or life sentence for heroin and cocaine offenses. 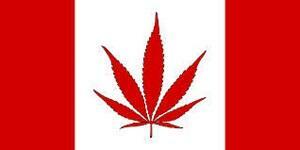 Marijuana is now legal in Canada, the Canadian government moves to allow pardons for people busted with small amounts of it, a Vermont governor's council rejects safe injection sites, and more. North Dakota Legalization Opponents Get Big Out-of-State Bucks. Opponents of the Measure 3 legalization initiative are far out-fundraising proponents, thanks almost entirely to an out-of-state anti-marijuana group and in-state business groups. The anti-legalization SAM (Smart About Marijuana) has provided 100% of the funding for Healthy and Productive North Dakota, giving more than $50,000 in cash and more than $100,000 in in-kind donations, while a second anti-pot political action committee, North Dakotans Against the Legalization of Recreational Marijuana, has raised more than $116,000 from in-state business groups and political figures. Pro-legalization PACS have received only about $10,000 in cash and $14,000 in in-kind donations, with over half the cash coming from donations of under $100. Vermont Governor's Opioid Council Rejects Safe Injection Sites. Gov. Phil Scott's (R) Opioid Coordination Council released a report Monday in which it says that the risks of operating a safe injection site outweigh any potential benefits of reducing overdoses and getting more people in treatment. Safe injection sites are "not a viable option for Vermont," the report says. "They are illegal under federal law and highly controversial. Cost-effectiveness and neighborhood impacts are unknown. Most importantly, they have an unproven track record of harm reduction and for providing a pathway to treatment." Some state officials support safe injection sites, but the council concluded that more study on the sites' effectiveness is needed. Canada Will Pardon People Busted With Less Than 30 Grams of Marijuana. As the country enters the era of legal marijuana, the government is moving to pardon people who were arrested for possession of less than 30 grams of weed -- the amount now legal for personal possession. People seeking pardons will have to apply for them. The US Attorney for Eastern Pennsylvania tries to scare away a proposed safe injection site in Philadelphia, Malaysia's cabinet puts a "moratorium" on the death sentence for a medical marijuana provider -- and the country is likely to end the death penalty as a whole because of the case -- and more. 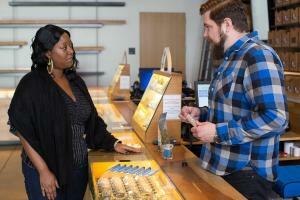 Washington State Regulators Put Temporary Hold on Pot Candy Ban. The State Liquor and Control Board last week announced a ban on certain marijuana-infused candies, but now says it will hold off on the ban for a month in order to allow marijuana industry groups to present alternative rules. The board will now accept public comment for 30 days before taking up the ban again. Wisconsin Senate Candidates Clash Over Marijuana Policy. US Senator Tammy Baldwin (D) and her Republican challenger, Leah Vukmir, clashed over marijuana policy during a debate Saturday night. Baldwin said she would support changing marijuana from Schedule I to Schedule II to allow the drug to be researched for medical purposes. Vukmir responded by that it was "concerning" that Baldwin would support legalization (Editor's Note: She didn't). She also called marijuana highly addictive and suggested it would worsen the opioid crisis. Philadelphia US Attorney Warns on Safe Injection Sites. The US attorney for the Eastern District of Pennsylvania, William McSwain, warned Saturday against the city moving forward with plans for a safe injection site. "This sort of facility that is being proposed is illegal under federal law," he said. He added that his office is reviewing possible options to stop it, including court orders, blocking the opening of the facility, and even possibly arrests and prosecutions. "Nobody is above the law -- and by that I mean nobody," McSwain said. "I mean the leaders who would be involved in setting up this proposed deadly drug-injection site, the board members… the city officials who would be involved in supporting it, the medical personnel who might be staffing it or the folks who might be using the drugs." Malaysia Medical Marijuana Distributor Death Sentence on Hold as Case Prompts Likely End to Death Penalty Entirely. The Malaysian cabinet has agreed to place a moratorium on the death sentence for Muhammed Lukman, who was convicted of possessing, processing, and distributing cannabis oil. "As a consensus, we agreed that it (death penalty) should not have been imposed. At the same time, we have also agreed to put a moratorium on his death penalty," Youth and Sports Minister Syed Saddiq told reporters. But that's not all. The case has catalyzed a likely end to the death penalty in Malaysia entirely, with political figures up through the Prime Minister calling for it. Saddiq said about the issue, "[I]t's two accounts. One is the death penalty as a whole, which will be taken down. And second, at the same time, the usage of medical marijuana should never be punished by death penalty." He also said the Cabinet had agreed that patients who used medical marijuana should never be punished by the law. Lukman was arrested in December 2015 for possessing 3.1 liters of cannabis oil, 279 grams of compressed cannabis, and 1.4 kilograms of "substance containing tetrahydrocannabinol (THC)."